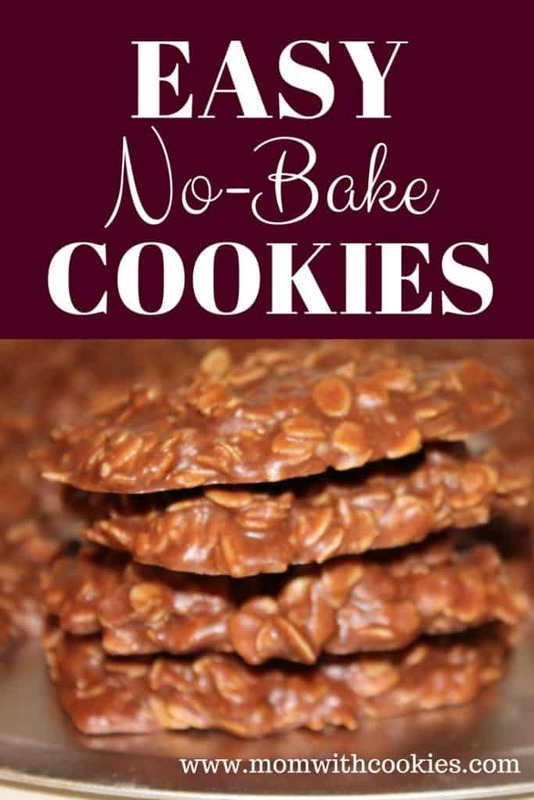 These easy no bake cookies are a delicious and addictive treat! 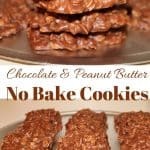 The combination of peanut butter and chocolate with the chewy oats really make for a wonderful cookie. These are easy to make, and absolutely scrumptious. If you don’t believe me, try them for yourself! What is the best kind of oatmeal to make no bake cookies? No bake cookies are known for their chewy texture from the oatmeal, but should you use quick oats or old-fashioned? The answer is simple, you can use either or! With old-fashioned oats, you need to cook them longer than quick oats. 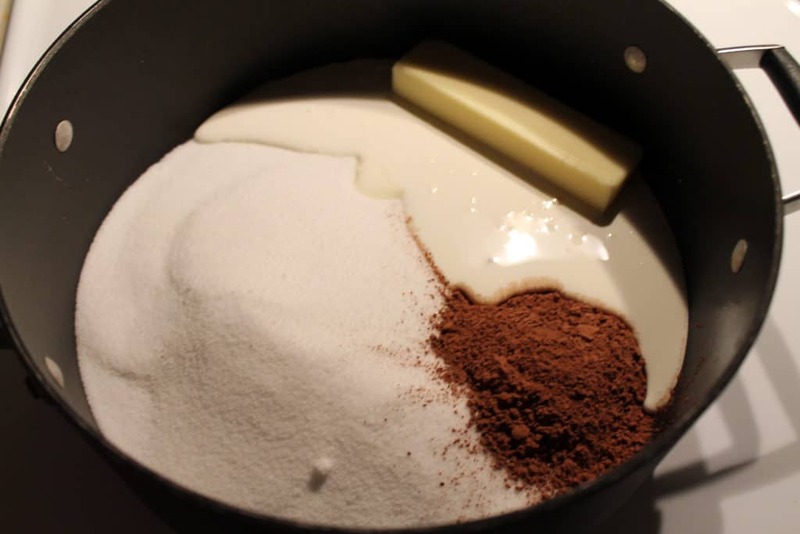 Combine the 1/2 cup butter, 2 cups sugar, 1/4 cup cocoa powder, 1/2 cup milk, and 1 tsp vanilla in a pan. On medium-low heat, bring the contents to a boil stirring constantly. 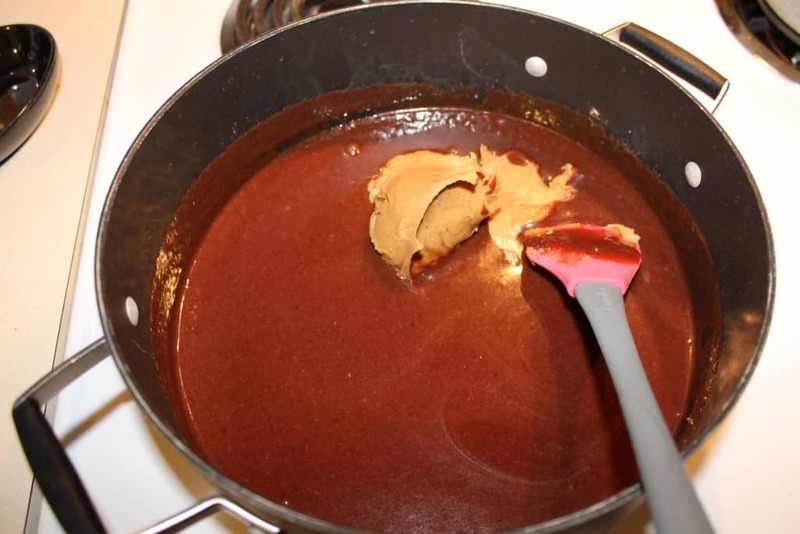 When mixture starts to boil, add the 1/2 cup peanut butter and stir until smooth. Then, remove the pan from the heat and add the 3 cups quick cookiing oats. Stir until it is evenly mixed, then let it sit for about a minute. You will need to let it sit for 10-20 minutes in the refrigerator so it hardens up. You can also let them harden outside the refrigerator, but it just takes longer. 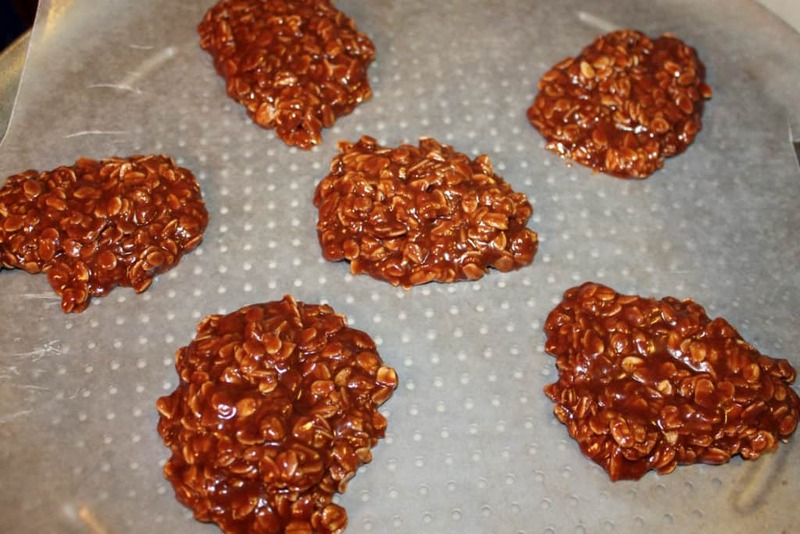 Then, you simply peel back the wax paper and enjoy these delicious and easy no bake cookies! 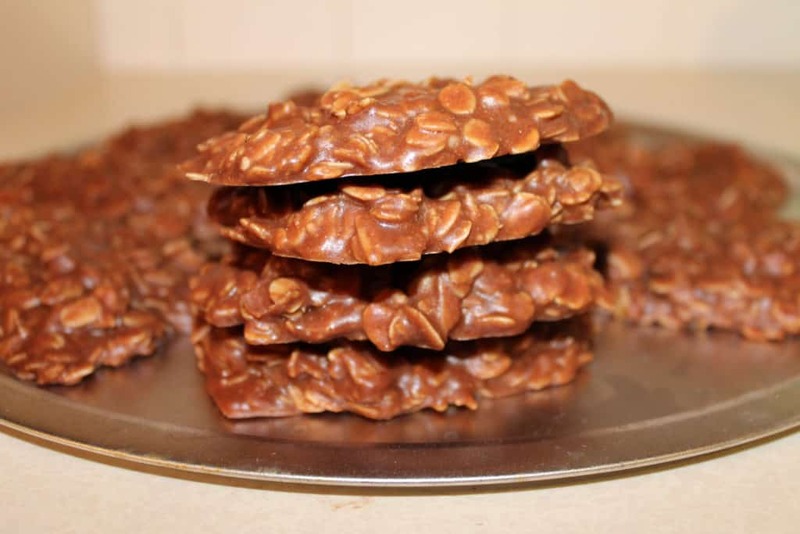 This recipe makes approximately 18 2-inch easy no bake cookies. Thank you for reading! I hope you enjoy this easy no bake cookies recipe as much as my family and I do. Make sure to pin it for later, and also comment on how they turned out. Also, don’t forget to subscribe for more yummy recipes and sweet advice from one mom to another. Also, don’t forget to check out my chocolate no bake cookies for Christmas! 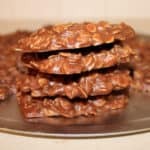 They are a festive take the the usual no bake cookies. 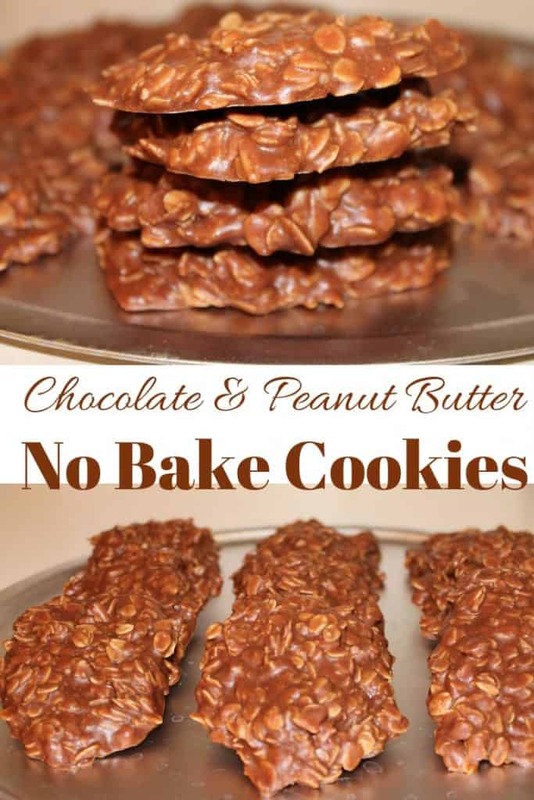 These easy No Bake Cookies only need a few ingredients and are incredibly delicious. Filled with peanut butter, oats, cocoa, these cookies are hard to pass up. In a medium sauce pan, add the butter, sugar, cocoa powder, milk and vanilla. Turn the heat on medium heat. Stir frequently until everything has melted together. 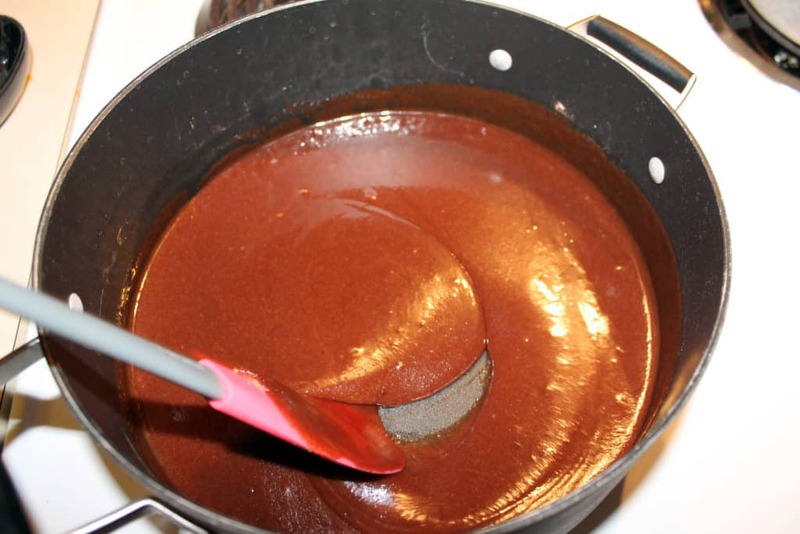 Stir in the peanut butter to this chocolate sauce. Then, bring to a boil (stirring constantly). 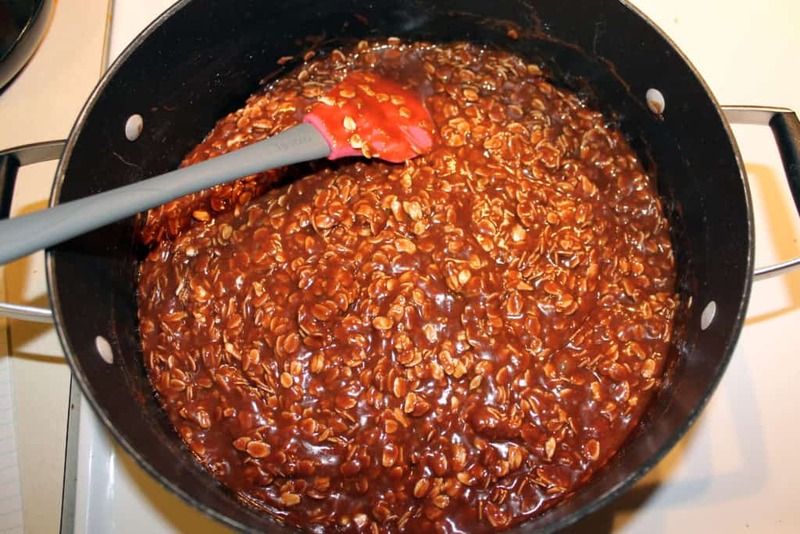 Then, remove the saucepan from the heat and add in the quick cooking oats. Let them sit for about 3-5 minutes ensuring that the no bake cookies mixture will start getting thicker. Then, you can scoop these no bake cookies out onto a cookie sheet lined with wax paper. Let them cool in the refrigerator so they get hard faster. I just made these cookies from your recipe. My daughter loves it. Although, some cookies were soft on the top. I don’t know to what extent that made an impact on the taste.Anyway, thanks a lot for your recipe. I’m glad you enjoyed them Jeremy! I had a few cookies that were soft on the top, but it seemed to help when I placed them in the refrigerator for a little bit longer. Thank u so much for sharing this cookies recipe.I wanted to make something like this for my baby.Then I followed your instructions and made these for my child and seriously its so yummy﻿.My child liked it a lot. 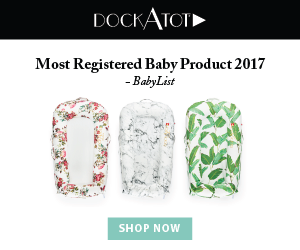 I’m so glad you and your little one enjoyed them Lucila! They are definitely some of my favorite. If my daughter had it her way, she would eat them all the time!